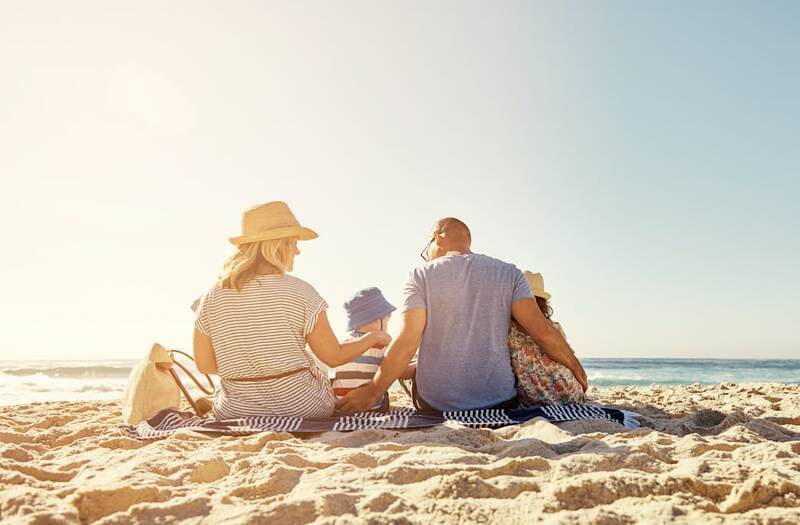 It's no secret that people spend more time planning their vacations than they do their retirement. The pressure vacations bring are: it needs to be perfect; spending money for personal pleasure and fantasies rank highest in concerns; will the weather be great, what things might arise I am not prepared for? Will the things I have researched ad nauseam please my partner or get on his nerves? In my absence will my staff be able to handle any emergencies that might unfold? Did I leave the key for the dog sitter? Here's a tried and true suggestion: putting money aside every two weeks keeps you on track and forces you to make real-time decisions: If I'm committed to saving $500 a month, then I know I have to put $250 into my vacation fund every other week but, here comes a challenge: my son wants expensive new sneakers. My choice is to dig into my vacation fund or take him shopping at Target. I ask him to choose: "Lift tickets at the ski resort or $200 sneakers?" These choosing questions are in fact a great way to teach your kids comparative values and give them a sense of power and control. Also, you will experience less disappointment from them because their expectations will be more manageable. "You're probably thinking that doing an all-inclusive vacay (that's a vacation that includes both your room and food and drink) is just way too expensive, but you would be wrong in almost every case. While it's true that some of the world's great and expensive resorts have an extensive and expensive AI policy, there are many that are very nice and very affordable. All you need is to consider a number of options that can save you money every time." "Like the old expression "it's 5 o'clock somewhere", that phrase also applies to peak and off-peak travel as it's always off-peak season somewhere! Traveling off-peak doesn't mean you try and go skiing in in Colorado in July either! But, traveling and saving money going OP is a real money saver." "The first question to ask yourself is this: "Do I really need a car on my vacation?" That answer will depend on where you are traveling, when you are traveling, and what you want to do when you get there. If you are getting away just to relax and sit in the sun, you may not need a car at all. See if your hotel offers free transportation to and from the airport and/or if there are such services publicly available at a low cost." "You can get some incredible upgrades if you just ask. One way to do it is when you are flying, ask about an upgrade at the gate when you are celebrating something like an anniversary or birthday trip. Airlines are willing to upgrade you if they have the room in first class as a courtesy, but only if you ask. It's best to do it when you are standing right in front of them at the counter and not on a phone or via an internet message. That's when they will respond positively most often." "Checking the net is a huge way to save money on your summer—or any—vacation. Websites like Expedia, Travelocity, Orbitz, Priceline, and Kayak will do everything from finding you the best deals on air, hotel, and cars to supplying specific venue information and free reservations. You probably already know that these places work well, but they are just a few of the many available, and more are coming all the time. When you have enough lead time for your travel, spend a few hours scanning the best deals and reading real customer reviews online before you reserve. It gives you a much better idea of what you can expect." "One of the most annoying things that can happen to you is to find out that you will have to pay extra on you baggage when you are checking in at the airport. How are you going to avoid that? Here are a few tips that have worked for me: Pack lighter than you think you may need... Weigh you bags at home... Try "wearing" your luggage like a backpack... Leave room for souvenirs." "When you can, try scheduling your flights, hotel stays, and car rentals on the less travelled days of the week. That's generally Tuesday, Wednesday, and Thursday. But the best way to take advantage of your flexibility is to select the flexible dates option on your travel site so you can find the least expensive choices. Or try a site like Fareness which is based on date flexibility." "If you are fortunate enough to have choices in your airport departure and arrival sites, check them out online. Because there are usually some differences in those airfares, check out your options. Here in New Jersey, we can fly from Newark, Trenton, or Atlantic City, or from NYC at LaGuardia or JFK. There are even the choices of Allentown PA and Westchester NY that are also close enough to make the air savings worth it. Sometimes it's worth a few hours' drive to get a significantly better airfare."